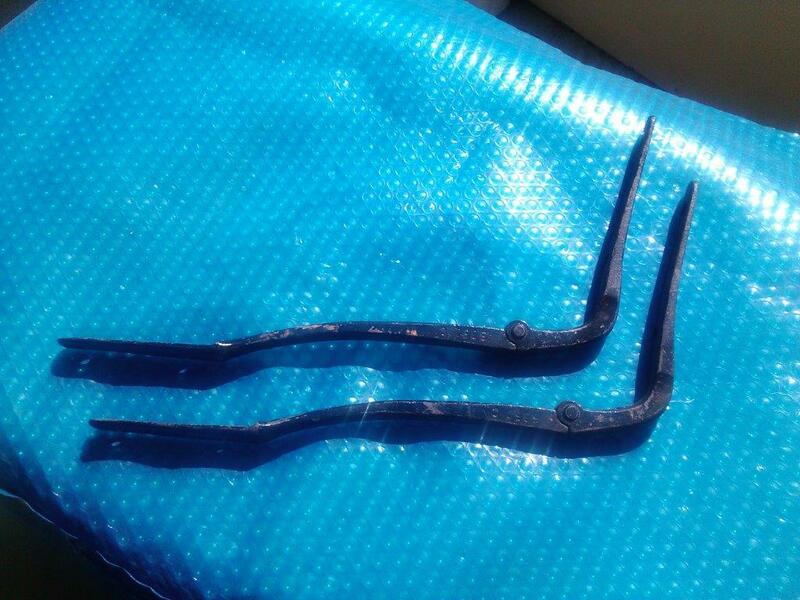 Model T Ford Forum: Can anyone identify these hinges? Can anyone identify these hinges? 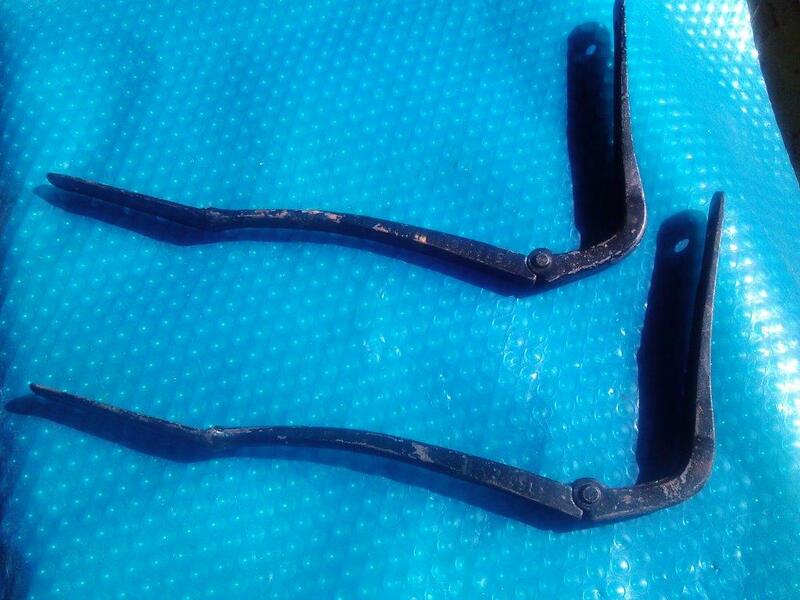 Model T Ford Forum: Forum 2014: Can anyone identify these hinges? They are stamped 5350 B. They are for a folding seat. This is commonly used in TT trucks,and Depot hacks . Richard, Do you want to sell them? Thanks for the information. It's great to have a resource like this. 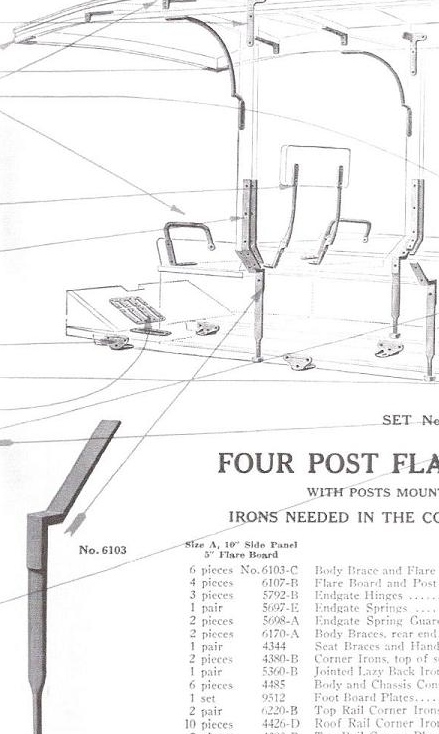 They were generally called "lazy back" seat hinges and Ford used them on early Delivery Cars but they had a different factory number so these were NOT the ones used on a Ford delivery car as near as I can tell. In this view you can see the 'lazy back' seat hinges that John posted. 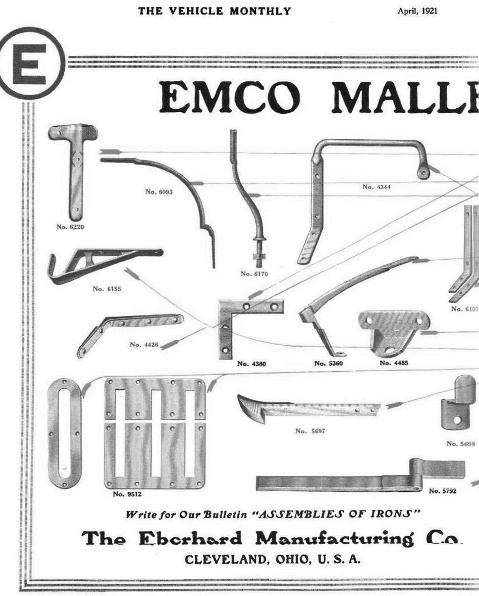 The top of the irons typically hold a narrow padded back rest. The lower irons mount to the seat base, and the hinge allows that backrest to drop down.